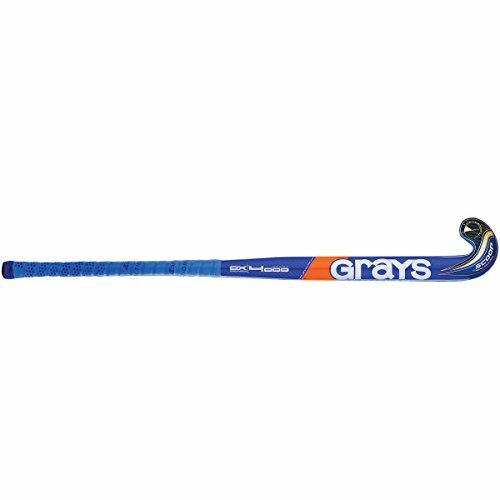 Designed for the beginner player developing crucial skills, the Grays Surf 500 Field Hockey Stick is constructed of durable and lightweight wood, reinforced with fiberglass for enhanced control and a comfortable feel. BEGINNER STICK: Our wood composition provides a much more forgiving touch making it great for new players. The light and thin construction aids in developing stick and ball control. LIGHTWEIGHT: The fiberglass-reinforced Mulberry wood construction provides value and enhanced durability while remaining very lightweight. 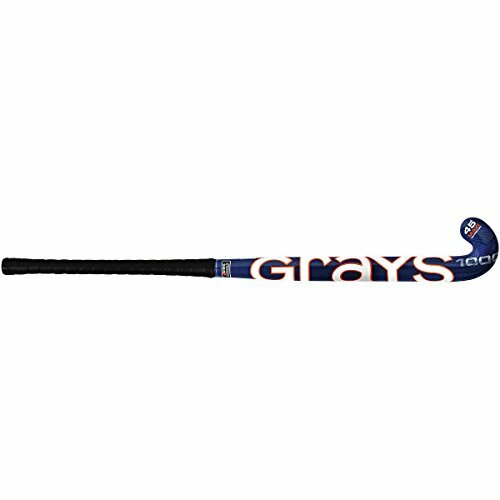 The Grays youth field hockey stick will stand up to anything you throw at it. MAXI TOE TECHNOLOGY: The Maxi Toe combines the extra receiving surface of the hook toe with the hitting power of the Midi toe. OUTDOOR PLAY: The Surf 500's traditional Ultrabow blade profile offers a classic bow along the length of the handle and blade. The perfect youth field hockey for outdoor play. 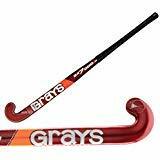 LONG-TIME INNOVATION: Since 1855, Grays Hockey has been the choice of many of the world's finest players. It was one of the first brands to launch a composite stick and now offers a wide range of composite and wood sticks. 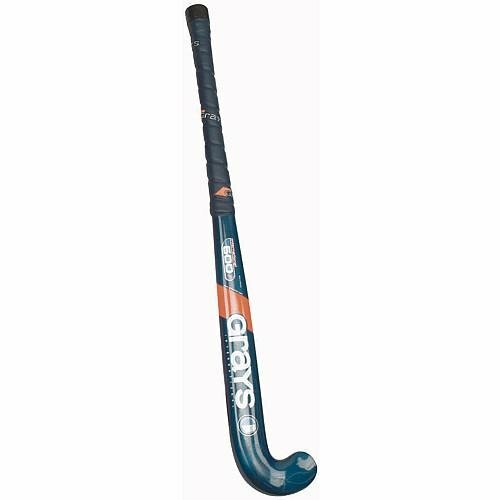 Fantastic field hockey stick for those starting the sport. Wood core ensures a soft touch for skill development. Full paint finish and exciting graphics! With superb balance and feel. 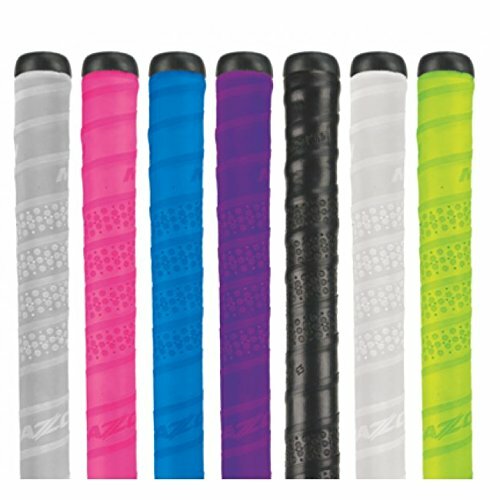 Mazon is the most popular Australian Field Hockey Brand! Available in a huge range of Colour. 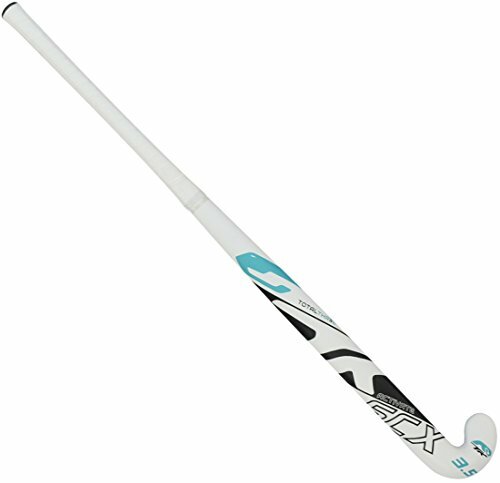 The Brine C100 Youth Field Hockey Stick is a great first composite field hockey stick ideal for youth players new to the game! 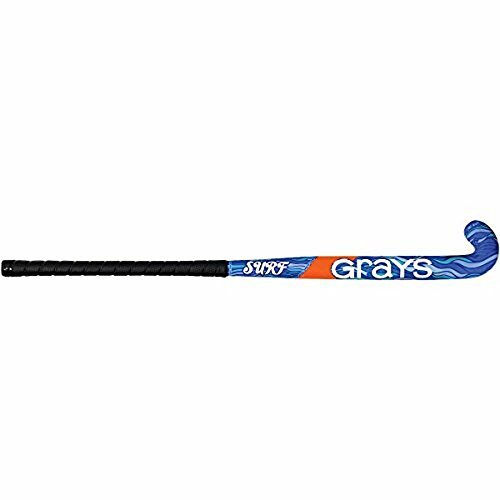 This beginner level stick is extremely lightweight and has a thinner handle shape that makes it easier for new players to get acclimated with the speed and skill of the game. With a control rating of 4.5/5.0 on Brine's Field Hockey Stick Scale, the C100 is very forgiving and allows the players the learn the game without being overwhelmed by a higher-level field hockey stick. A major safety breakthrough in 36 inch field hockey stick design. The super safe skintex polyurethane head design effectively places the protective padding on the stick instead of on the legs of the players. Traditional head design with curved back and flat face. The stick's internal structure is designed to keep the flat hitting surface stiff, providing excellent control of the 2-1/2 inch soft plastisol ball. 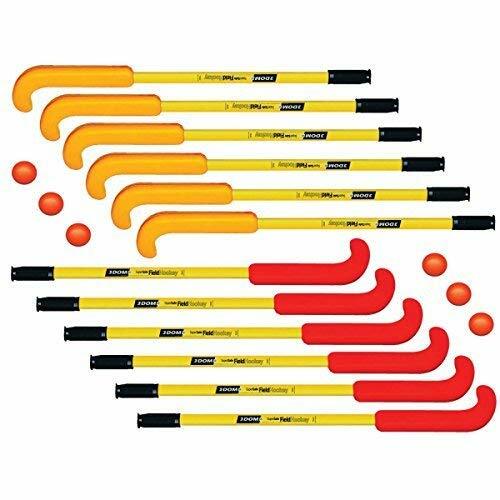 Includes twelve 36 inch super safe field hockey sticks (6 yellow/6 orange) and 6 dom-83 balls. Traditional shape provides great control for new players. TK Total Three series takes inspiration from the Total One and Total Two series and is designed for players who are looking for high-performance sticks at affordable prices. Traditional shape provides great control for new players. 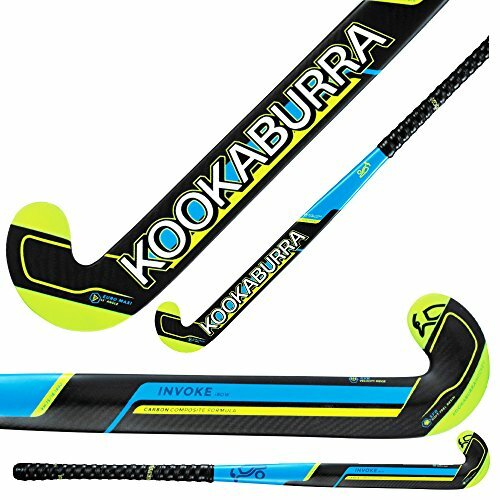 The Kookaburra Invoke I-Bow gives the player the perfect balance between the L-Bow and the M-bow. Some of its Key features are- - Kookaburra Euro Maxi Head - Pro gel grip - I-Bow with KVR. 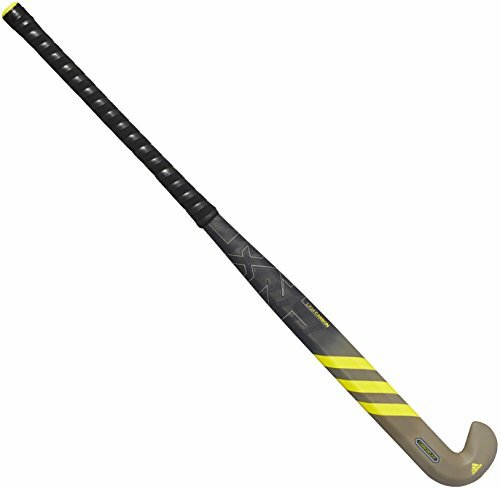 This stick offers improved player sensation and has a striking design with the Blue, yellow and black graphics. Skill, speed and power win games. Creativity turns players into legends. 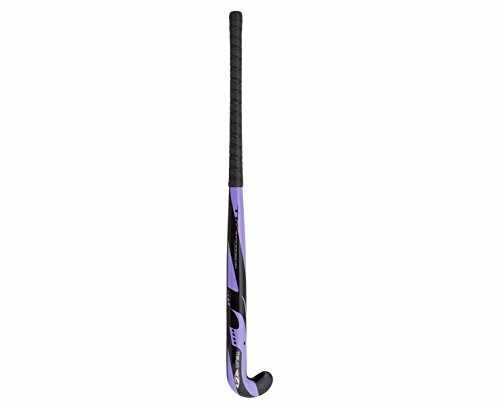 This field hockey stick is built for offensive players with multidirectional action in search of more power. The CARBONPLATE technology increases the stiffness in the lower part for powerful ball contact. 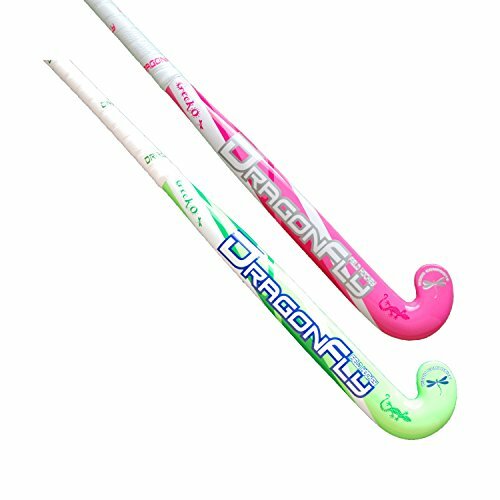 The ADIBOW - 24MM CURVE AT 250MM shaft shape is a mid bow profile and is the perfect stick shape for a creative play, perfectly made for distributing the ball across the pitch. The 3D Head lets you easily pick up the ball, adding an extra level of creativity to your dribbling and 3D skills. The 90% CARBON + CARBONPLATE offers the highest degree of stiffness. 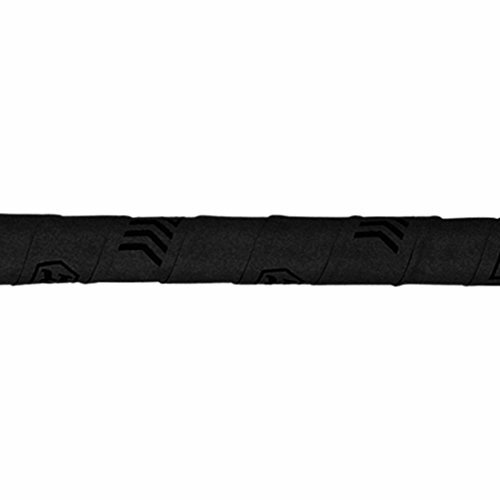 The Carbonplate further improves the stiffness of the stick, resulting in ultimate hitting power. Carbon and Aramid braided mix for exceptional power. Featuring special "Carbon-X" heel and edge protection zones. Generates more power than any other stick in the composite line. It's composed of a specially formulated carbon and Kevlar multi directional matrix. Optimum weight to balance ratio for exceptional power. 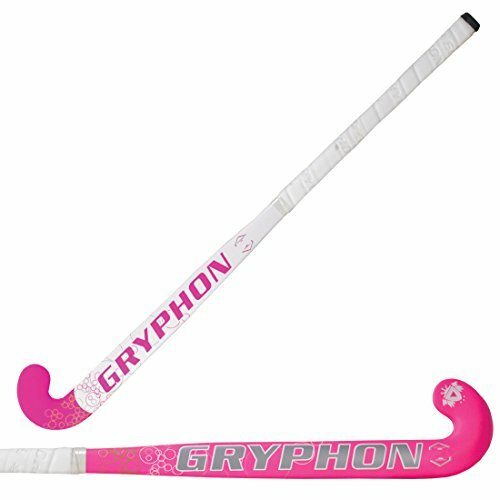 Gryphon Model S Field Hockey Stick - PINK 28"
Great aid in essential skill development and growth. 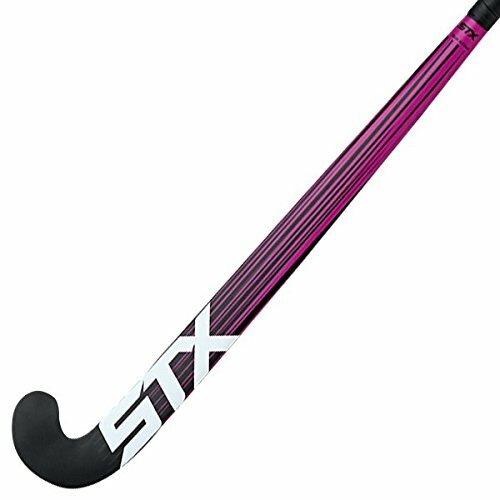 The STX Field Hockey i Comp 3.0 field hockey stick is specifically designed for indoor field hockey. The stick features a slimmer profile for indoor play.